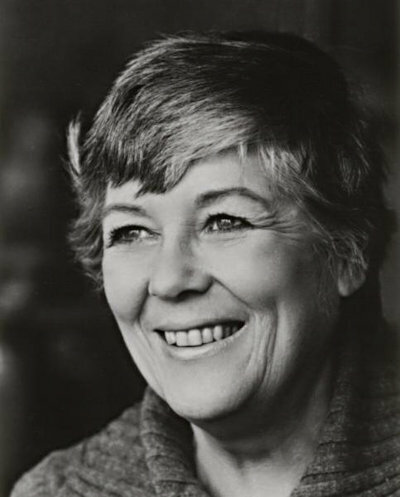 These pages are a celebration and commemoration of Dorothy Dunnett O.B.E - the finest writer I have ever come across or ever expect to, and one of the most vibrant, generous and open-hearted people I have ever known. It was a privilege to be associated with her and an honour to be able to call her a friend. Dorothy is best remembered for her two epic series of historical fiction - The Lymond Chronicles, which has recently been re-released in the UK by Penguin, and The House of Niccolo which will also be re-released shortly. Set in the 16th and 15th centuries respectively, with a combined 14 volumes, they set new standards for historical fiction and inspired authors of many genres as well as a legion of devoted readers who return to them again and again. Her other major work, which some regard as her finest, was King Hereafter, the 11th century story of Earl Thorfinn the Mighty of Orkney, whom Dorothy believed after extensive research over five years was the historical King Macbeth. Yet writing wasn't Dorothy's first avenue of artistic expression. She was also a professional portrait painter and sculptress, as well as being involved in many aspects of Scottish public life and business, often alongside her husband Sir Alastair Dunnett. The two of them contributed enormously to the development of Scottish life, culture, and prosperity. This website contains details of her life and work as well as discussing and analysing her books and is intended to provide a focus for the many readers who continue to avidly read and debate her stories and characters, and who, like me, have made many friends worldwide because of them. I hope readers will continue to enjoy the site in its new mobile-friendly format and welcome any contributions - whether discussions of the books in the Dunnett Blog section, stories of meeting Dorothy, or photographs of locations from her books. The version you are reading now is the third design of this site and has been a long time coming. It originally grew out of the pages contained within the James Thin website. They were a 5th generation family firm of Edinburgh booksellers, once one of the top ten largest stockholding bookshops in the world, who I worked for for 22 years until they were forced into receivership in 2002. Dorothy had worked with them for many years and they sent her books all over the world whenever a new one appeared. In those days they were published in the UK a few months ahead of the US. Dorothy contributed enthusiastically to the original version and was always interested to see how it was developing. In many ways I consider this her website and I've tried to continue it in the way that she would have wanted. For instance not always providing research "on a plate" because she knew that many of her readers enjoyed the discovery process as much if not more than the final knowledge. If you're a new reader and have only read part of Dorothy's work then a warm welcome - her books will give you a lifetime of enjoyment - but also a warning. Inevitably there are spoilers here - it would be impossible to have the site without them - so tread carefully lest you stumble on something that will give away important plot points. This is particularly true of the blog posts where there is discussion of the text, but also of some of the biographical material and the talks.